(i) Under the Jute Packaging Materials (Compulsory Use in Packing Commodities) [JPM Act], 1987, Government specifies the commodities and the extent to which they are mandatorily required to be packed in Jute Packaging Materials. At present, compulsory packaging of jute sacking takes place for a minimum of 90% of food grains, as well as, a minimum of 20% of sugar. On an average, the annual Government support to jute industry on this account amounts to Rs.5500 crores. (ii) Sometimes the market price of raw jute falls below a certain level. Under such circumstances the Jute Corporation of India (JCI) procures raw jute at Minimum Support Price (MSP). These are fixed on the basis of recommendation of the commission for Agricultural Cost and Prices (CACP). 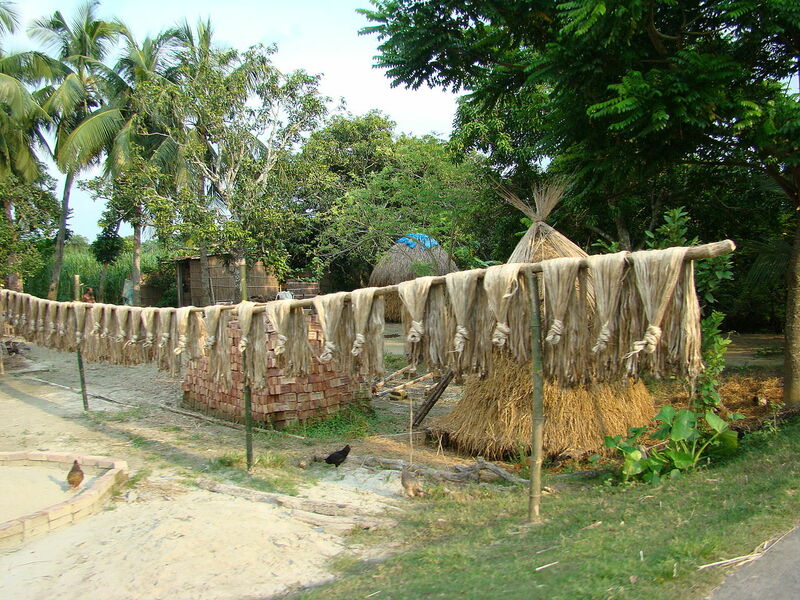 Safeguarding the interest of the jute growers is the main reason for doing this. Government of India has sanctioned Rs. 204 crores for a period of 4 financial years, which starts from 2014-15 in order to enable Jute Corporation of India to be ready for MSP operations plan. (iii) Government of India launched ISAPM for Jute Industry and Jute Diversified Products Manufacturing Units, with effect from 1st October 2013. The basic aim of this scheme is to facilitate modernization in existing and new jute mills. It is also for up- gradation of technology in existing jute mills. They will also provide assistance to a large number of entrepreneurs to manufacture value added biodegradable Jute Diversified Products (JDP), as well as, for modernization Jute up-gradation of technology. (iv) This pilot project, called Jute-ICARE i.e. Jute-Improved Cultivation and Advanced Retting Exercise, launched in 2015. The aim for this is to address the difficulties faced by the jute cultivators. They will provide them certified seeds at subsidized rates, seed drills to facilitate line sowing. Nail-weeders will also be provided to carry out periodic weeding. Implementation of several newly developed retting technologies under water limiting conditions will also be done in order to populartize them. This has resulted in increased returns to jute farmers. (v) The National Jute Board implements different kinds of schemes for market development, promotion of diversification and exports, as well as for welfare of workers. (vi) Government has issued a notification on 5th January, 2017 imposing Definitive Anti-Dumping Duty on jute goods originating from Bangladesh and Nepal. Based on the current level of imports, the industry has estimated that this is likely to generate up to 2 lakh MT of additional demand for jute goods, which is to be met by the Indian Jute industry. (vii) Government has made it mandatory for the entire chain from importers and traders to the level before the end-users. They will have to register with the Office of Jute Commissioner. They will also have to furnish monthly reports on the imported goods. (viii) Government through its Office of Jute Commissioner, Kolkata has also directed all manufacturers, importers processors and traders to mark/ print/ brand the words Made in- Country of Origin” on imported bags. The Office of Jute Commissioner also requested the custom to maintain a strict vigil. So that no unregistered importers/ traders can import jute and no unbranded jute goods can enter India.